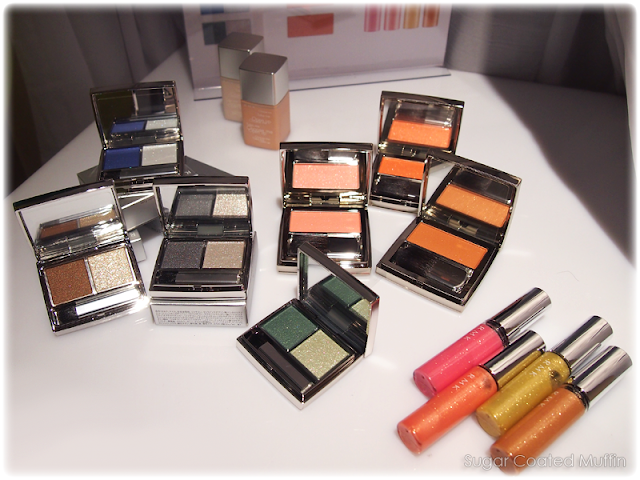 FYI, RMK is back under Kanebo and they're bringing new awesome stuff for the 2013 Summer Collection! I bet you recognize their iconic packaging. 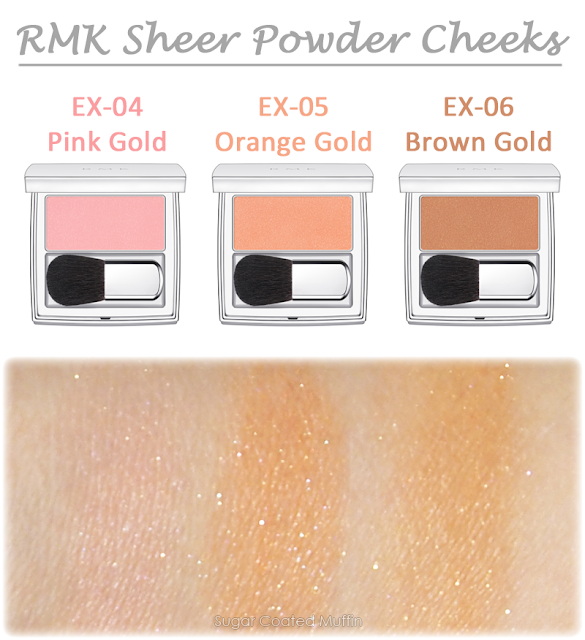 RMK believes in bringing out the beauty in your skin, not covering it. The Colour Control UV contains Illuminating Powder made of fine holographic particles which filter light away from pores and irregularities of tone. Also balances skin tone, controls oil and protects skin with SPF 30 PA++. Infused with Royal Jelly Extract, beta-Carotene, Himalayan Raspberry, Star Fruit & Olive Leaf Extract. It is very easy to spread out and does not feel greasy. 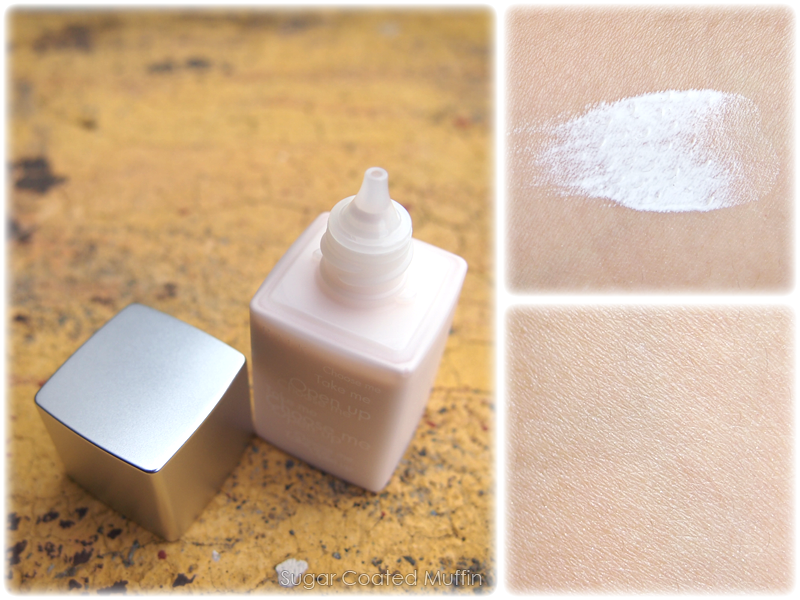 Once blended out, you will notice a brighter complexion that glows. It isn't too shimmery until you look like a disco ball because it's really fine. The magic answer to pores and bumps as well as oily skin! The new Smoothing Stick is an all-round skin surface corrector with a deliciously smooth gel texture to smoothen your skin before makeup. 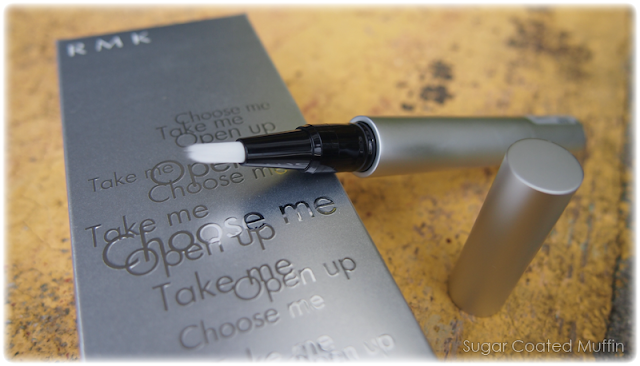 25% of its formula is made of luxurious skin-loving water base that fits to give your skin coverage like no other. It is infused with concentrate moisturizing ingredients like Royal Jelly Extract, β􀉹Carotene, and Macadamia Nut Extract to keep the skin moist and plump from within, as well as Thyme Extract to firm open pores. Its use of Smoothing Leaf Powder* technology will deflect light for shine prone areas whilst controlling excess oil during the day, and drastically minimizing all bumps and pores for a visibly smooth surface. 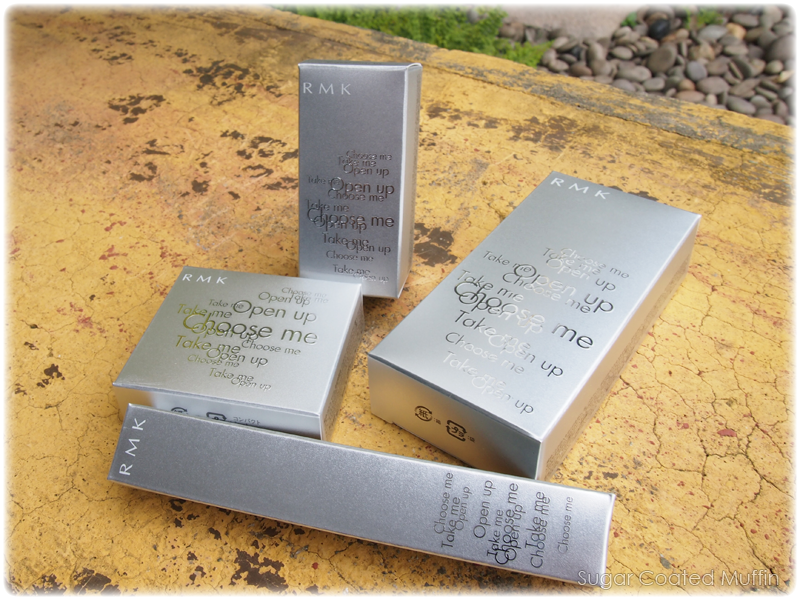 Apply on areas that are prone to oiliness and also pores. In my case, that's the T-zone. Excuse the dry skin.. Got a lil sun burnt and peeled. 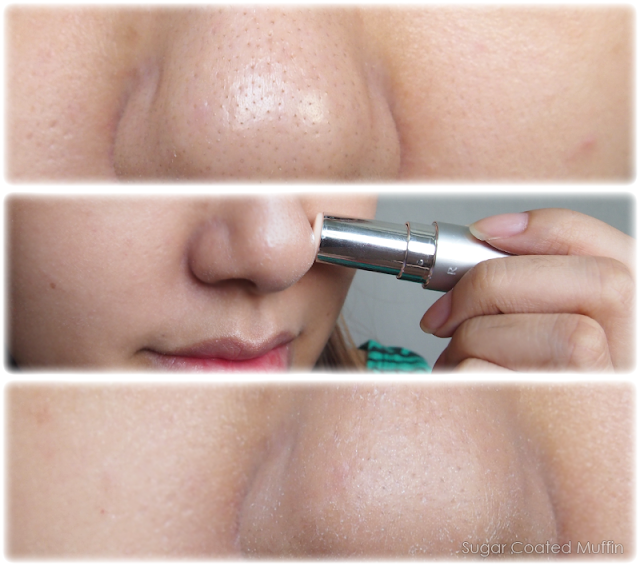 One swipe and my pores & blackheads immediately disappeared! It works well to control the oilies as well and makes skin look matte. The next awesome pawsome product is this! Comes in 2 colours, EX-03 Blue and EX-02 Pink. The Pink version is supposed to counter the blue in dark undereyes. But I only have the Blue one and guess what? It does wonders to reduce the darkness as well (although the pink one probably works way better)! 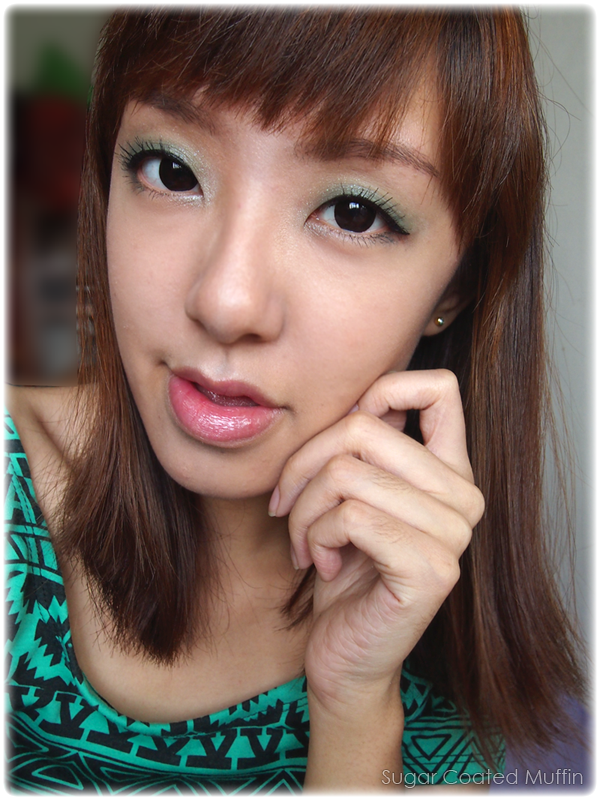 I use it to highlight my facial features and neutralize redness around my nose too. Blend out the blue and apply foundation, blending the edges together. 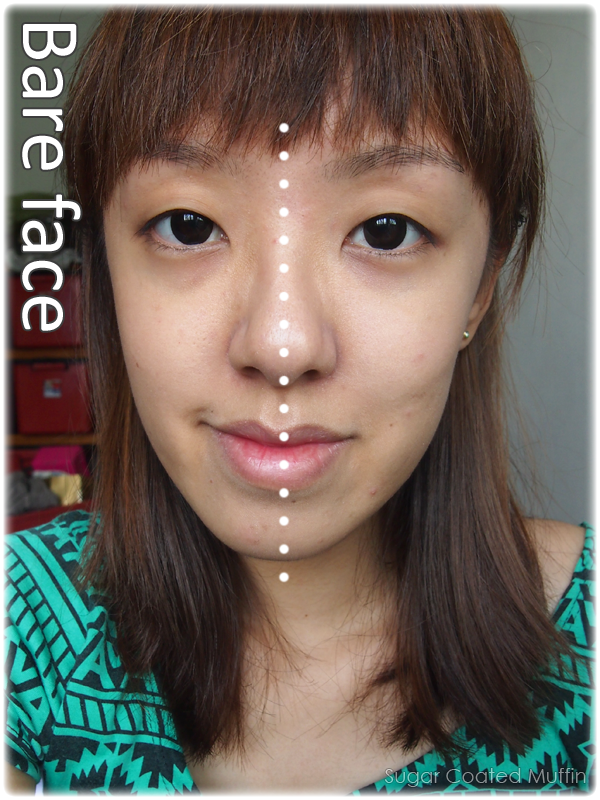 It will look natural, highlighting certain areas of your face without any glitter. Once you're done with the base makeup, you can move on to my favourite part, colours!! These are seasonal limited edition colours. 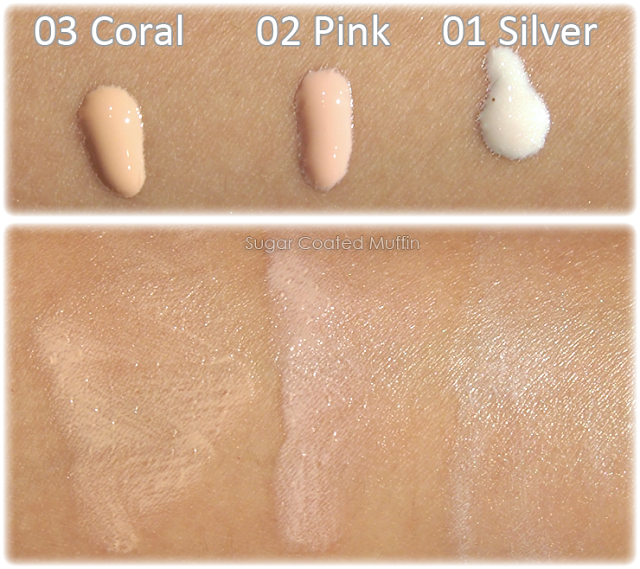 Enhanced with pearlescent particles, they add a healthy summer glow to your complexion. All 3 shades are formulated to guarantee the perfect fit and glide on your skin for the perfect finish. 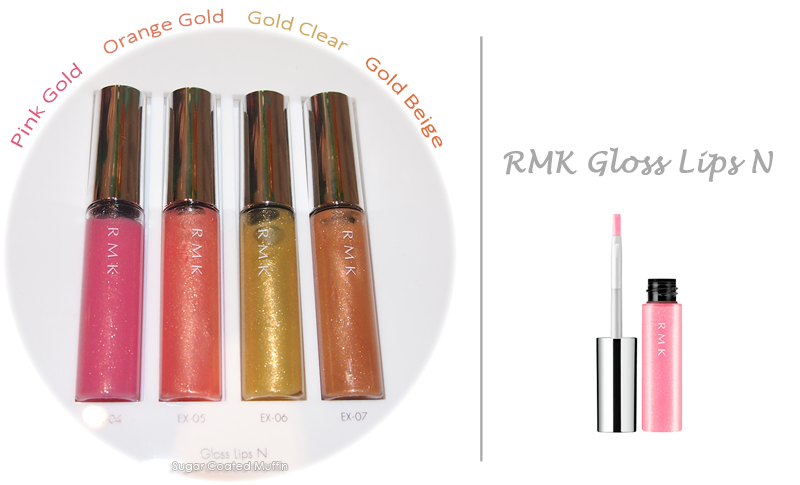 The lip glosses are seasonal limited edition colours as well. Contains Hyaluronic Acid to keep lips moisturized. 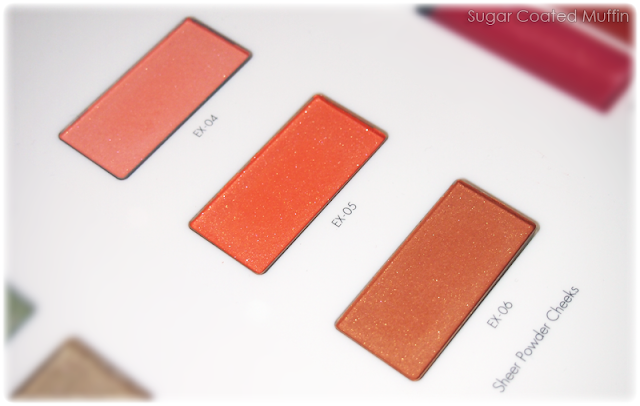 The duo eye palettes are rich in pearlescent particles for the perfect shine. Layering the 2 textures will enhance the original colours – from fresh green, demure brown to bronzed gold combinations. The texture has been enhanced for ease of glide when applied onto the skin, and for depth of colour when 2 textures are layered. Compact comes with a mini mirror and a good brush although you may use your fingers if you want more colour intensity. 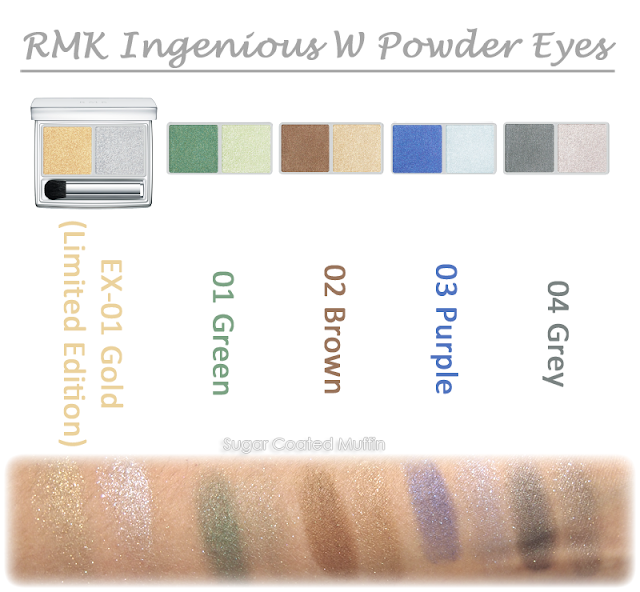 The eyeshadow glides on smoothly and is really pigmented. 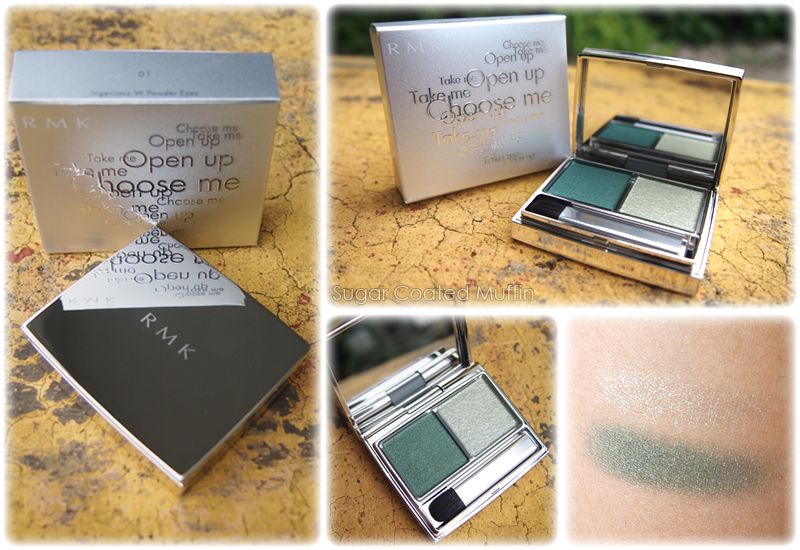 The green is almost olive and the silver side adds shimmer. Just one palette to create everyday looks! Make up demo on model - she looks gorgeous eh? She's wearing Sheer Powder Cheeks in Orange Gold and Gold Ingenious W Powder Eyes. Wow! look awesome! 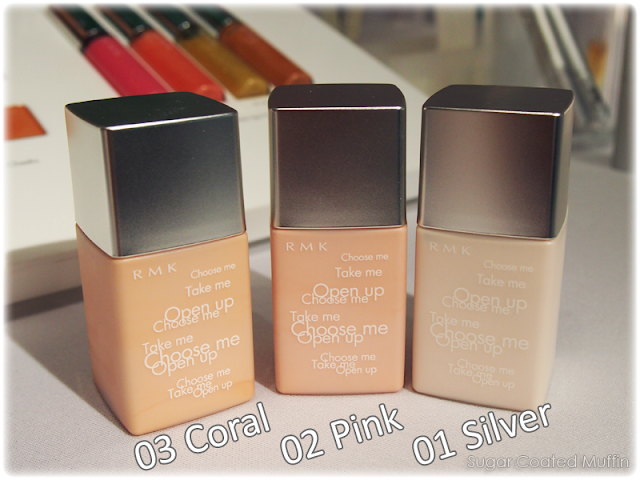 never try any RMK products yet. I've heard so much about their base makeup! Great post dear! I have been hearing a lot of nice feedback for RMK too bad they are not available here in my country.